The reality TV star said the pain was so severe she contemplated suicide. "Real Housewives of Beverly Hills" star Yolanda Hadid opened up about her battle with Lyme disease -- which she calls an "invisible disability" -- revealing how at one point the pain it caused was so severe she contemplated taking her own life. "This is such an invisible disability, where you look beautiful on the outside yet you're dying on the inside," Hadid said in an emotional interview with ABC News' Robin Roberts. "That's what people are judged with every day." "It didn't just happen to me, it happens to everyone who suffers from Lyme," Hadid added of the judgement she received from those who don't understand the disease. "Including my own daughter, who's on the cover of magazines, yet people don't know how much she really struggles behind the scenes." 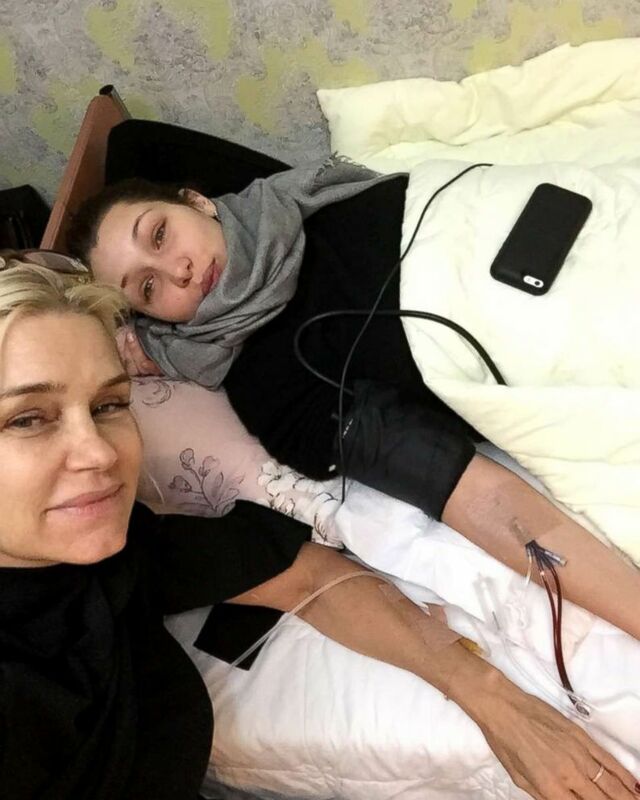 (Yolanda Hadid) "Real Housewives of Beverly Hills" star Yolanda Hadid says she and her daughter, Bella Hadid, both suffer from Lyme disease. Hadid said that her supermodel daughter Bella Hadid, as well as her son Anwar Hadid, also suffer from Lyme disease. Her oldest daughter, supermodel Gigi Hadid, does not suffer from the ailment. "Anwar ... he's OK," Yolanda Hadid said. "He's been treated for two years and he's really good. But Bella, it's something she deals with every day of her life." 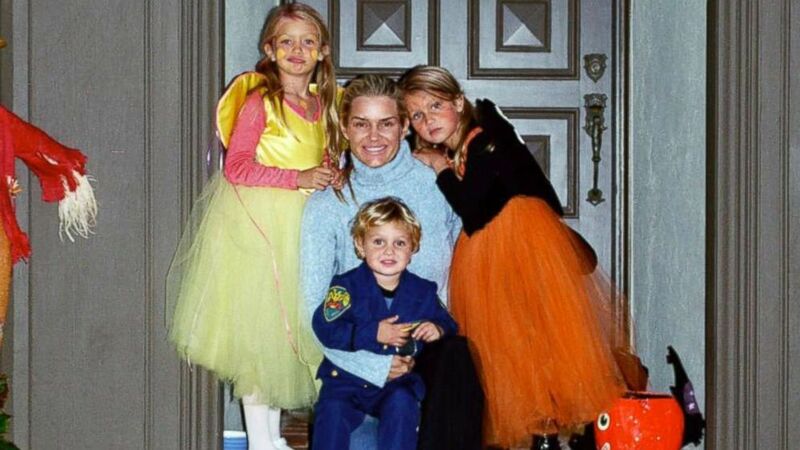 (Yolanda Hadid) "Real Housewives of Beverly Hills" star Yolanda Hadid and her children Gigi, Bella and Anwar Hadid pose together in this family photo. Yolanda Hadid said she currently is feels about "90 percent" well. "I still have some brain issues, where my scanner is off, where sometimes I have a hard time with word retrieval and things like that," she added. The former model said that she struggled with her health during the entire time she filmed "The Real Housewives of Beverly Hills." "The minute I got on the show I got sick. I've never worked on that show with a normal brain," she said. "I was always struggling and always trying to hold on, and keep my job." (Yolanda Hadid) "Real Housewives of Beverly Hills" star Yolanda Hadid poses for a photo with her daughters Gigi and Bella Hadid. The mother of three also revealed that at one point her pain was so severe, she even contemplated taking her own life. "I think in that moment I was so desperate, and in so much pain, like sweating on the bathroom floor in some hotel in Florida, trying to please other people," she said. "I remember laying in the ocean and going, 'Just take me, I just cannot live one more day.'" "In the same moment that I thought that, the picture of my kids came up, and I'm going like, 'What are you thinking?' I wanted to be honest about that because I'm sure there are many people get to moments where just go like ... you throw your hands up in the air and go, 'I've tried everything, I just cannot go one more minute,'" she added. The Netherlands native said she believes the stigma surrounding Lyme disease comes from a lack of education. "I think that people have judgment of things that they don't understand," she said. "The first case of Lyme disease was diagnosed in 1975. We're now in 2017 and there's still no cure." She added that despite the hardships, a silver lining of her health battle is that it has brought her closer to her three children. "There were nights Gigi was in the car driving me to the hospital, and the two kids holding me in the back," she said. "It's brought us closer, it's made us stronger and we're all out on the other side and just enjoying that closeness of our family." Yolanda Hadid said if there was one thing she would want people to takeaway after reading her new book, "Believe Me: My Battle with the Invisible Disability of Lyme Disease," which chronicles her battle with the disease, it would be "hope." "Probably just hope. Hope and education and understanding the depth of healing ... Life isn't perfect," she said. "Everybody has the same struggles. It's life."